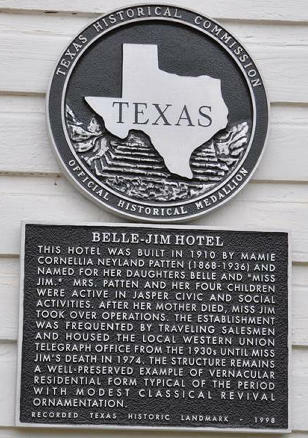 Settled in the mid 1820s, it was first known as Bevil’s Settlement (after John Bevil). 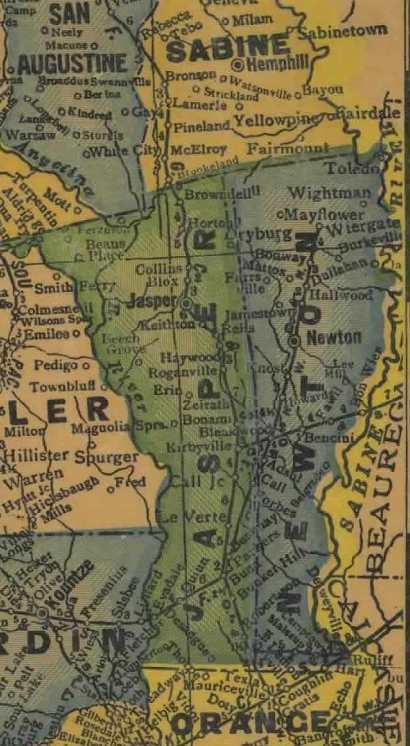 In 1835 it joined a host of other southern states naming the county after William Jasper, of American Revolution fame. 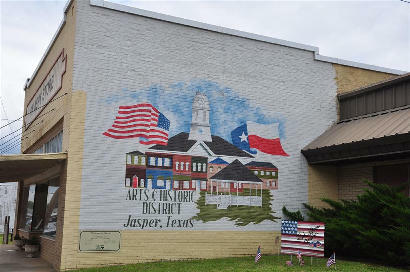 In 1844 the town of Jasper became the county seat. A post office was granted in 1846 when the population was only 40. In the next ten years the population reached 400. A Confederate quartermaster depot was located here during the Civil War and following the war, several educational institutions opened before they were absorbed in a public school system in 1908. A weekly newspaper, the Jasper News-boy, has been published continuously since 1865. The 1870 population declined from the 400 residents of 1858 to to 360. By the mid 1880s it had grown to 1,000. By the mid 1890s it reported 1,200 residents. The arrival of the Gulf, Colorado and Santa Fe Railroad made Jasper an important lumber exporter. 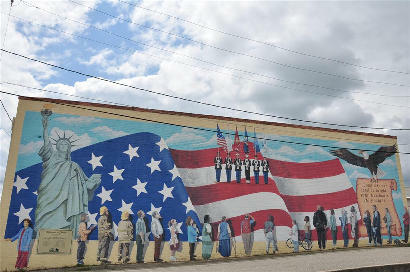 The population grew from 1,500 in the mid 1920s to 6,500 in the late 1960s. 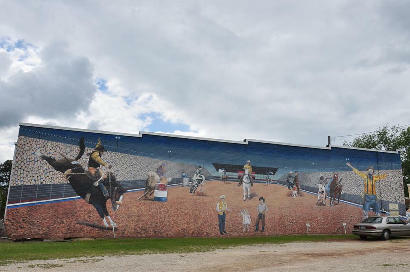 Jasper reached a new high during the 1990 census with 7,267 residents and over 200 businesses. By 2000 the population surpassed 8,000 with over 700 businesses. 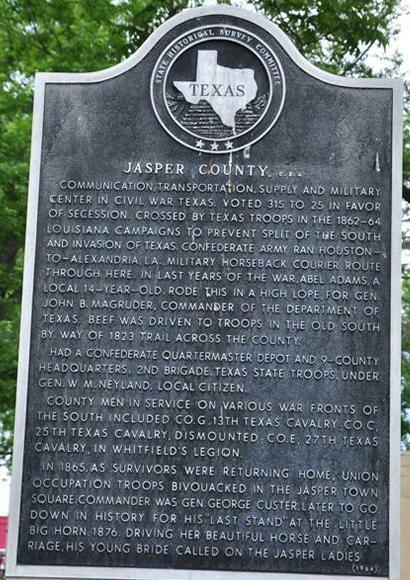 Jasper County, C. S. A.
Communication, transportation, supply and military center in Civil War Texas. Voted 315 to 25 in favor of secession. Crossed by Texas troops in the 1862-64 Louisiana campaigns to prevent split of the South and invasion of Texas. 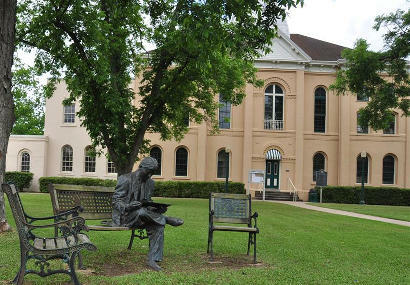 Confederate Army ran Houston-to-Alexandria, La., military horseback courier route through here. In last years of the war, Abel Adams, a local 14-year-old, rode this in a high lope, for Gen. John B. Magruder, commander of the Department of Texas. Beef was driven to troops in the Old South by way of 1823 trail across the county. 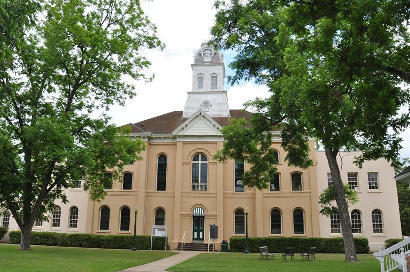 Had a Confederate Quartermaster Depot and 9-county headquarters, 2nd Brigade, Texas State Troops, under Gen. W. M. Neyland, local citizen. County men in service on various war fronts of the South included Co. G, 13th Texas Cavalry; Co. C, 25th Texas Cavalry, Dismounted; Co. E, 27th Texas Cavalry, in Whitfield's Legion. 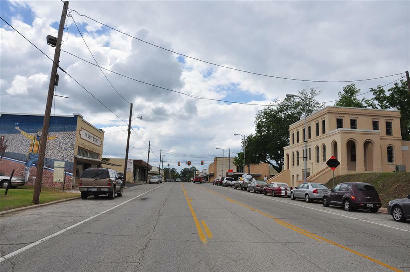 In 1865, as survivors were returning home, Union occupation troops bivouacked in the Jasper Town Square. Commander was Gen. George Custer, later to go down in history for his "last stand" at the Little Big Horn, 1876. Driving her beautiful horse and carriage, his young bride called on the Jasper ladies.